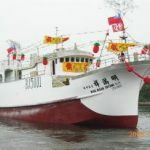 The 24 meter long, 91 gt fishing vessel Ming Maan Shyang No. 18 caught fire in the Indian Ocean some 700 miles south of Reunion Island. 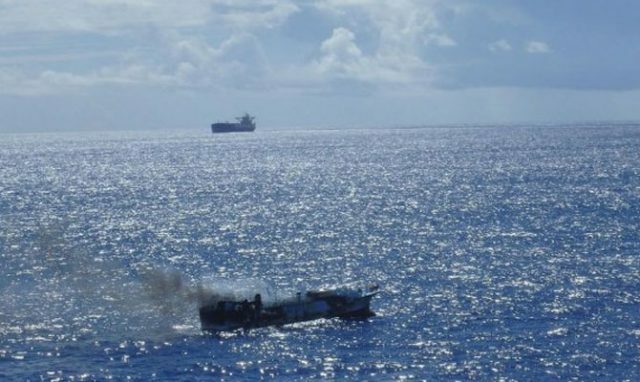 The vessel had sent out a distress call as the Ming Maan Shyang No. 18 rapidly became engulfed in flames. The distress call was relayed to near by vessels in the area. 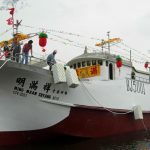 The fishing vessel Hung Yi responded and arrived on scene a short time later. The Hung Yi rescued 13 of the 15 crew off the Ming Maan Shyang No. 18 who had abandoned ship earlier onto 2 life rafts. Reports state one crewman had suffered severe burns from the fire. The remaining two crew from the Ming Maan Shyang No. 18 were reported as missing. 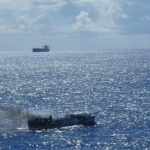 A search and rescue operation was conducted around the area of the fishing vessel. The Ming Maan Shyang No. 18 was last reported to have it’s superstructure completely burnt, but the vessel was still afloat.